Before we take a look at Fall, remember our Summer Bucket List? 1. Celebrate the Last Day of Summer School Done! Even, though it was extremely busy, we grilled hot dogs and had a picnic at the park with my parents. 2. Have a family Campfire The Twins still didn’t get to make a campfire, but I finally did, so this gets a half complete. 3. Visit Another State Park No! This will have to go on the Fall Bucket List. 6. Get comfortable in the Water Yes! All three boys loved swimming lessons and want to go to the pool all the time now. 7. Get a Family Portrait Done Yes! You can read about my tips HERE, and the reveal is coming very soon. 8. Finish the Summer Reading Program Boo! We didn’t do so hot on this one. We continued reading a lot, but didn’t make it back to get our sheet signed at the library each week. 10. Go Back to School Shopping Well, I got to go, so does that count? I wanted to make it a tradition for me and my kids, but the boys have absolutely no interest in clothing or shopping unless it’s going to a hardware store. Look and collect colored leaves at a State Park Bam! We can get this one from summer too. Celebrate Family Birthdays Mine is coming up Monday, and my oldest son’s is October 13th. I’ve already got the theme for his party! Go to a Pumpkin Farm and get a Pumpkin or Go Apple Picking at an Orchard Before the weather turns sub-zero, we need to get out and about. Plus, my kids love apples, and I think they would like picking them. Visit the Zoo a couple more times Pretty soon the Zoo train stops running for the year, so we need to squeeze in a couple more rides and views of the giraffes. Go Trick or Treating! This one is a given considering how candy-obsessed my kids are. I’m going to leave it at that, since we’ve got a very busy schedule this next month. Have you come up with a Fall Bucket List? What fun things are you planning? I love reading your bucket lists, and i enjoyed reading about your trip to the Shedd last month. Do you have any ideas for Halloween costumes this year? Mmmm grilled hot dogs! Ah I miss summer already! It’s so cold here right now! It’s unusually warm here, but cold soon enough. Sounds like you did a lot this summer!! I’m looking forward to fall, I love fall activities. I need to make my own fall bucket list! I am so glad you enjoyed Shedd Aquarium! We went for the first time in Feb (brr!) and it was awesome! Not sure yet what we have planned for fall, but for sure we will celebrate the 1st birthday of my youngest and also hopefully get to the Milwaukee Public Museum. That’s such a great idea! 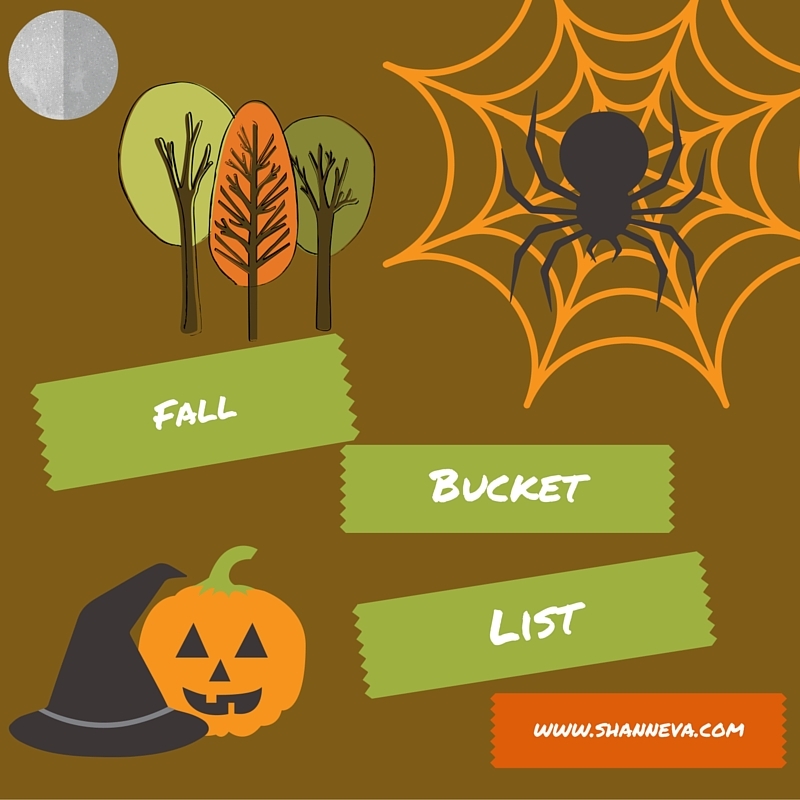 I never thought about doing a seasonal bucket list! I’m going to go do one for the fall right now! Woohoo! What a fun bucket list! I totally want to take my kids to the zoo soon as well. I’ve been thinking about costumes and can’t decided what I want to get! I really want to go apple picking! I need to see if there is a place by us. I know! I have the kids costumes, but need to find something coordinating for myself. Great job on the bucket list. I live in Wisconsin and want to go apple picking this year! Nice. Have you been to Apple Holler? We’ve never been, but we’ve driven by and it looks fun. 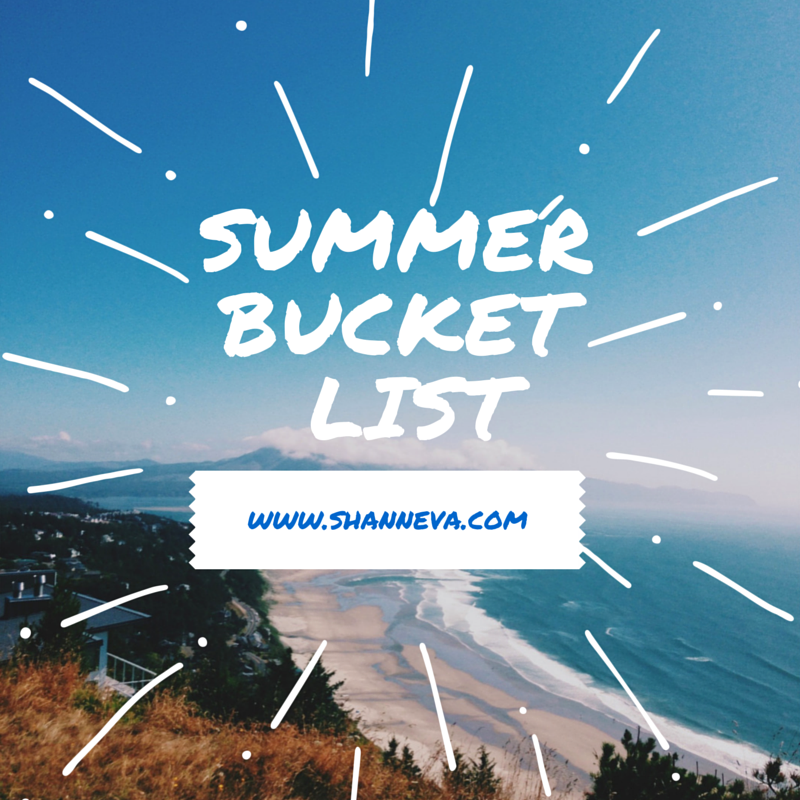 Sounds like you did get a lot of your Summer bucket list done! I’m glad to hear that the boys loved their swimming lessons. That was a hard one for my boys but eventually they learned how to swim and love the pool!! Sounds like you guys had an amazing summer filled with a lot of memorable and fun times! Your fall sounds awesome too. I may have to start making seasonal bucket lists myself. Such a fun idea! Totally with you on #4 I have always wanted to take a train to some romantic destination! Or any destination! Thanks for the list – it is inspiring for my own! Sounds like a fun fall is planned. Have you considered a family group costume? You did great on your Summer list! I also want to go to a pumpkin path, my hubby and I are planning to take our kids soon! I am so impressed with the list. Awesome. These are the kind of things children will look back on and remember with a fond smile on his face. You’re welcome…and thanks for visiting. It seems like you did most of the things you set out to do. We didn’t finish the summer reading program either 🙁 Happy Fall! Great list ! We haven’t done much this summer. Busy with work. Happy Birthday! This is a great list and I hope you get to do all this. It’s funny, out of all these, the find/wear a costume for Halloween made me say, “yes!” lol Every year I say I will dress up or be more creative myself with a costume, but I never do. This year, I really want to do it!! You did pretty well on ticking off items from your summer bucket list. I’m glad the boys loved swimming lessons too. Good luck on your fall goals. cute. Apple and pumpkin picking are standard for us every year too. And I am not a fan of dressing up so I will not be doing it myself, kudos to you for having it on your list though! Jealous of the family campfire, mine are too young to be awake after dark but I wish! Sounds like you did awesome on your summer list! I love making mine and my kids costumes-it’s so much fun!! Even though I don’t know how to sew and I’m not that crafty… Looks like you already have today’s periscope prompt down!! Lol!! Awesome list, I’ll definitely be stopping by to see how it turns out at the end of the season. Thanks for sharing! It was a decent summer for you. Looks like some great stuff for fall. What nice summer list, at least you were able to finish most of it. Hopefully you’ll complete the list next year! Fun recap for the summer and I need to get on making a fall list. Love the get dressed up for halloween one, I always think I’m going to do a fun costume but then don’t have enough time. Love your mini-bucket list idea instead of the big-life ones most of us have. This makes it more doable. Great concept! We visited the Shedd Aquarium two summers ago, Seth loved the Dolphin show. Which zoo do you go to? The Brookfield Zoo is awesome! 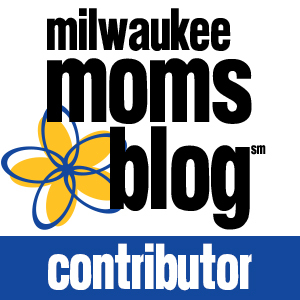 We go to the Milwaukee Zoo. Is the Brookfield zoo in IL? I have a summer bucket list too! Probably should do a recap on that. I love the idea of a fall bucket list. Ours would also include birthday celebrations (we have SIX of them with extended family in the first 2 weeks of Oct) and a corn maze, and getting some photos in the fall leaves. I’m enjoying co-hosting the #HomeMattersParty with you this month! Thank you so much Lorleai! I like the idea of your “bucket lists.” I am about to complete one of my own. In a week, I will be swimming with a dolphin!